I can’t tell you how many times I’ve heard those words, or something like them. If that is what you are seeking, look no further. Here on the Big Island in the Ahualoa neighborhood in Hamakua, it truly exists. Take a moment to explore the features of this property. It has an intimate feel, exceptional details, and a great view. Current owners had a successful macadamia nut business on the homestead. They processed everything in the 1000 sq.ft. workshop down in the orchard. Crops now are mostly coffee and fruit. 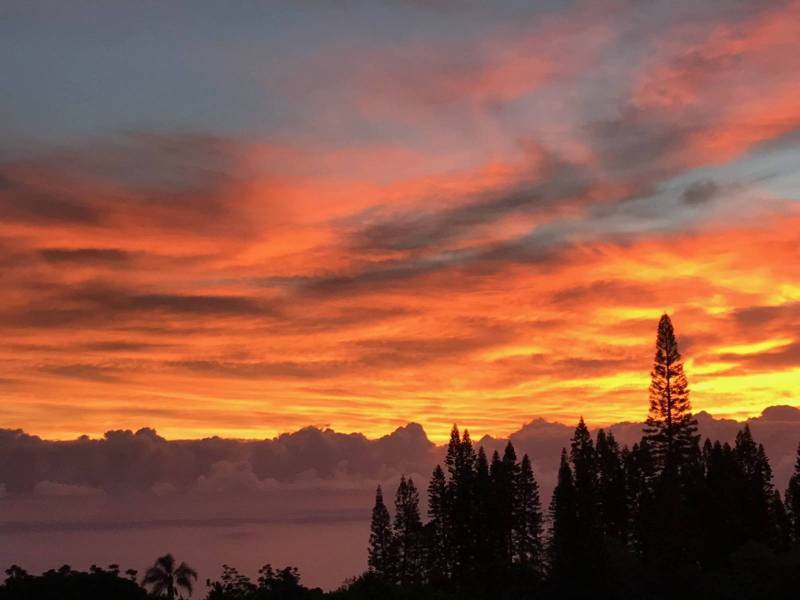 Located about 5 minutes from Honoka’a Town is the peaceful community known as Ahualoa. Many homes face the eastern shores and experience unreal sunrises. This home is located at a comfortable 1700 ft elevation. Ample rainfall waters your gardens naturally. No pesky irrigation systems or high water bills required here. Practically anything will grow. 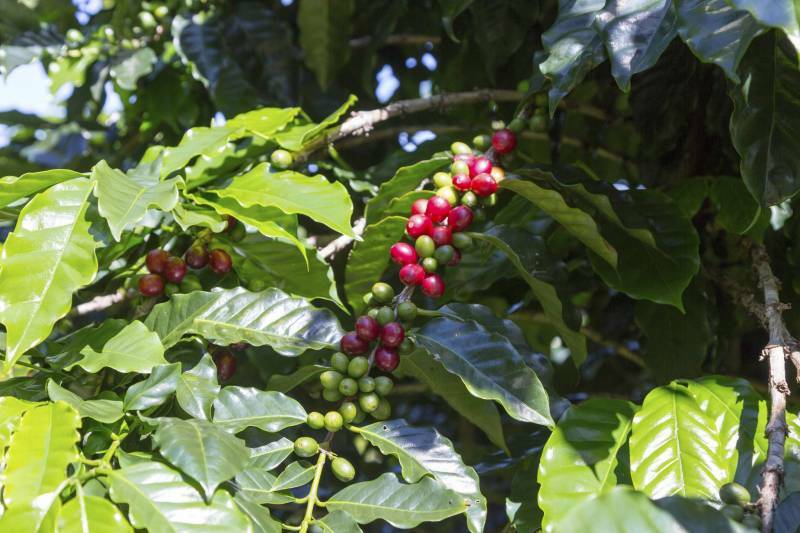 This particular 1.95-acre lot has 250 coffee trees, and 8 types of fruit trees. Ripe cherries of the many coffee plants. There are also lilikoi vines, citrus, and avocado trees. The air in this northeast part of the island is especially clear and fresh. Even when the volcano was erupting furiously, there was no vog here. Honoka’a dates back to the sugar plantation era and has shops, restaurants, a theater for film and live entertainment. Public elementary, intermediate and high schools are available in town. For private schools, it is a short ride to Waimea. Sunday’s Farmers’ Market offering freshly grown produce and much more is very popular. Past Honoka’a is the famous Waipio Valley. Even if you don’t venture down to the black sand beach, the look out over the beach and valley is breathtaking. 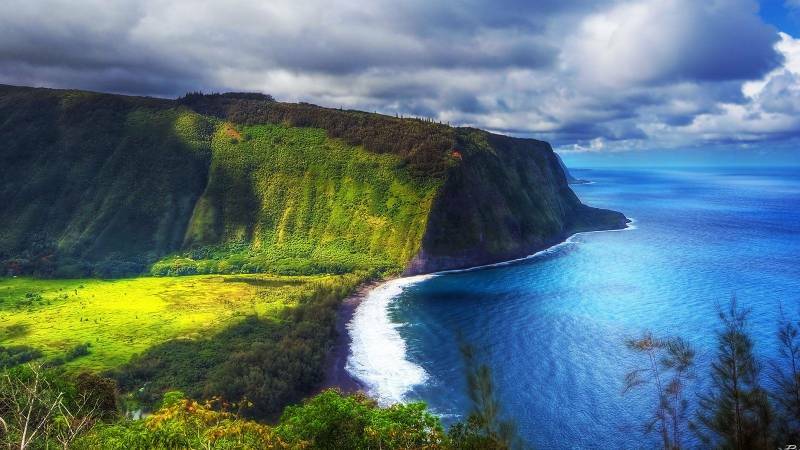 The Waipio Valley is home to Hawaiians still tending taro patches, wild horses and the magnificent Hiilawe Falls. Most of your everyday needs can be taken care of in Honoka’a town. 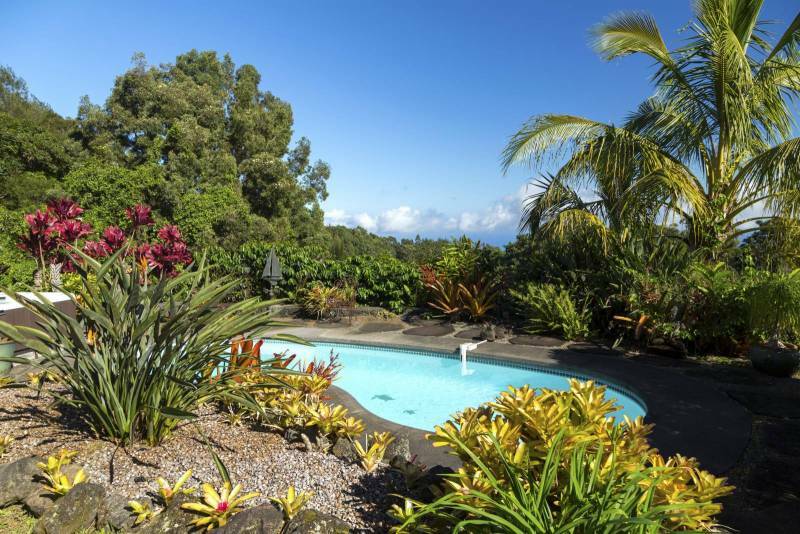 This featured home in Ahualoa is 13 miles from Waimea (about a 20-minute drive) and is 45 minutes to Hilo. The Kona trip takes about 75 minutes. All of these destinations are along scenic drives that make the time pass easily. 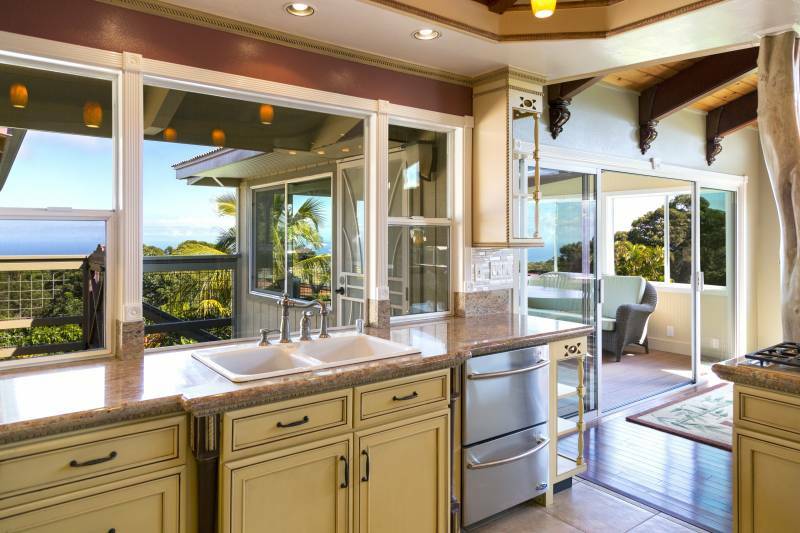 If you have more questions about living in North Hawaii or about this listing in particular, please contact me directly. I enjoy sharing my knowledge about my favorite places. Lisa Velasquez is a REALTOR(B) with Hawai'i Life. You can email me at	LisaVelasquez@HawaiiLife.com	or via phone at (808) 785-9090.